I was recently talking on the phone with one of my blog subscribers—enjoying a rich, straightforward, skip-the-small-talk conversation with a fellow doer. During the course of our convo, we discussed how our God-given wiring is a strength but it can also be an obstacle too. Those of us who are driven to “do” often have a hard time waiting and being still. When you are wired to get things done, it can be difficult to slow down. This can be a source of frustration for women who find deep satisfaction in checking off items on their to-do list. The notion of “being still” can weigh us down, baffle us, and maybe even sound like a far off place we must strain to find. Sure, it sounds inviting at times too, yet we aren’t sure how to get there or stay there. Striving is something I understand all too well. You too? But the directive to “cease striving” doesn’t mean we have to stop “doing” (which is a relief for a get-it-done gal like me). This invitation to “be still” is less about physical posture and more about spiritual posture. It’s more of a state of mind vs. the state of our to-do list. Soul rest is something I want to experience. You too? Make a list of who God is and what He does. Start with Psalm 103. Verse by verse, list what you learn about God. For example, in verse 3a we learn that God “forgives all our sins.” So even when we are in a frantic state of mind, forgetting that we are a beloved daughter of a loving Father, He forgives us. We can stop trying to earn His love, because He has already proven it on the cross and offers us complete forgiveness through our belief in and receptivity to His Son, Jesus. When we remember who God is and what He does, we sink down into soul rest. Make a list of what you are to do (from a spiritual standpoint). Revisit Psalm 103. This time make a list of your role in trusting and knowing that He is God. For example, in verse 1, we learn that our soul and inmost being are to praise the Lord and bless His holy name. My tendency is to try and fix my own problems or manage my own schedule instead of remembering to praise the One who is Lord over it all—my problems, my schedule, and my try-hard heart. But Psalm 103 clearly spells what I am to do (which this to-do list gal appreciates). The burden is on God to come through in supernatural ways. Our part is to remember who He is and what He is capable of, and to believe His Word. Ask God to help you remember what is true. Like the Israelites, I am forgetful when it comes to God’s faithfulness. Let’s ask God to help us remember what is true concerning His character and abilities. God delights in helping us in our weakness (see 2 Corinthians 12:9) and He tells us to ask Him for wisdom and not doubt that we will receive it (see James 1:5-6). Take a moment right now and pray that God would help you recall who He is and what is true. As we implement these three steps, we begin to see that being still is more about the heart than inactivity. It’s more about trust than naps (although naps can be very good and necessary). 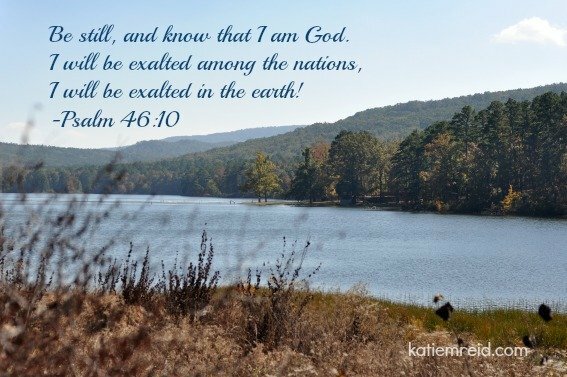 We can work hard, and tackle our to-do list, yet still walk out this “cease striving” verse in Psalm 46:10 as we inwardly lean into the truth of who God is and what He does. Let’s rest in His Sufficiency as we go about out day. God is faithful to keep His Word and able to help us believe Him. It sure is a joy to encourage you to exchange try-hard striving for hope-filled freedom. If you aren’t already a loyal blog subscriber to this site, I warmly invite you to do so. After you enter your email address, in the sign-up box, you’ll receive four free tracks from my album, Echoes of My Heart, to help you unwind. Let’s cease striving and sink into the peace that is ours in Christ. The Hebrew meaning for “still” in Psalm 46:10. I love this, thank you, it spoke to my heart and I love three exercises, I can’t wait to dig into the Word. 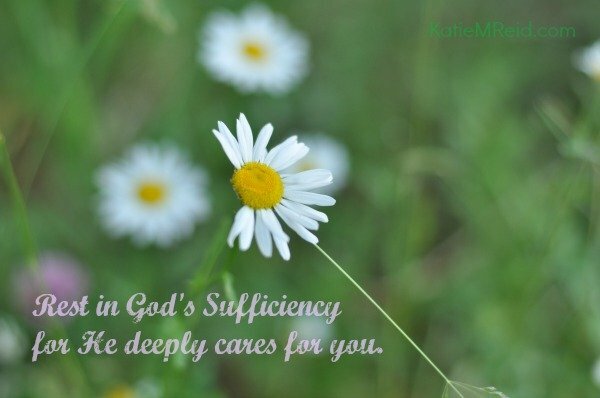 Love that – let’s rest in his sufficiency. Even in all our doing we can find rest in Him.